This is a full time program. 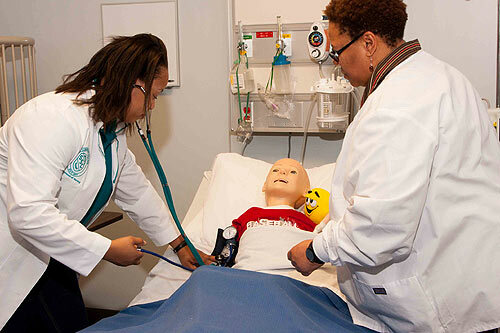 The Associate Degree Nursing (ADN) Program provides students with specialized training to acquire a basic knowledge of nursing theory and practice. Registered Nurses provide services to the community in a variety of capacities to deliver health care. Upon completion of the program, students are prepared to take the National Council of Licensure Examination (NCLEX-RN). For more information concerning application acceptance into the Associate Degree Nursing (ADN) Program at SSC. January 7 & 8, 2019: 8:00am – 1:00pm. The last day to pay for the exam is Monday, December 17, 2018, by 12 noon. February 11, 2019: 8:00am – 1:00pm. The last day to pay for the re-test is Monday, January 28, 2019 by 12:00 noon. Please call (708) 596-2000 ext. 2260 to reserve your seat.